Ginger (left) and Ziggi taking a swing on a crossing, leading the yearling team. 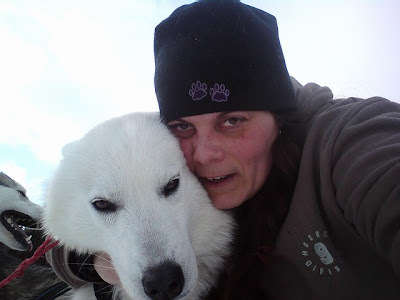 Huggy Bear (right) is all new in this leading business. He has a very patient and super kind mentor in Granite. 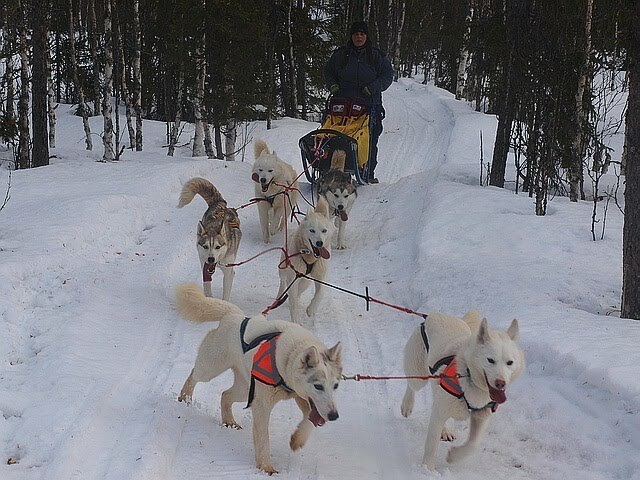 Ginger seems to really enjoy the short, fast runs with the youngsters, so does Ziggi. 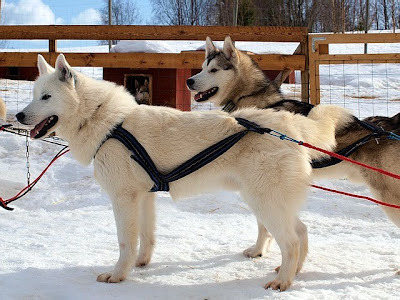 Brothers Iceman and Inuk working hard in wheel. 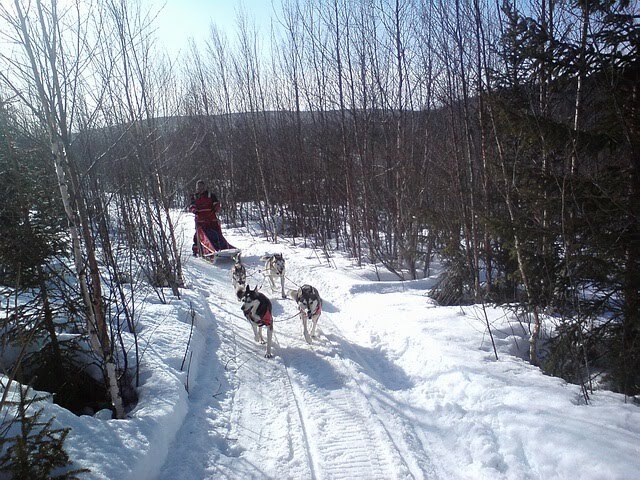 Puppies working hard and doing a great job up a steep hill. And so do these four guys. 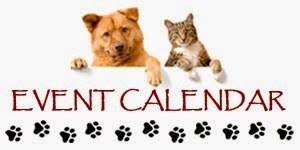 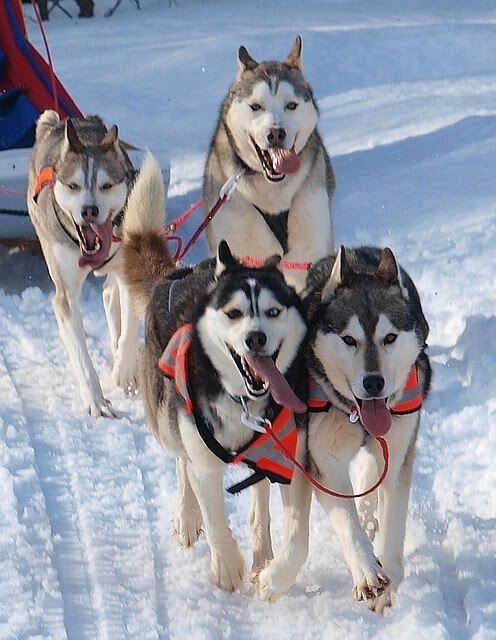 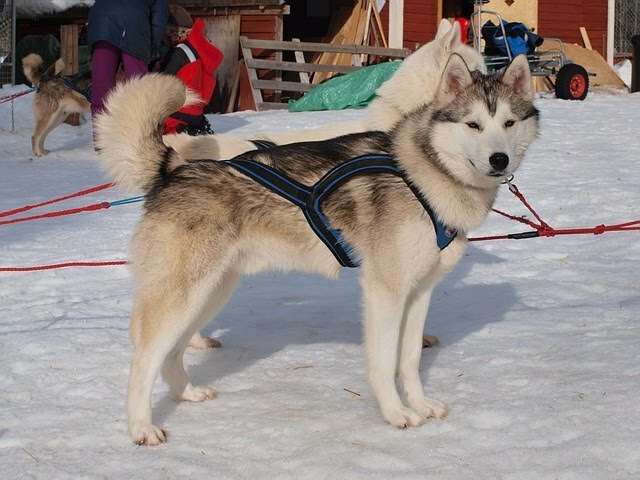 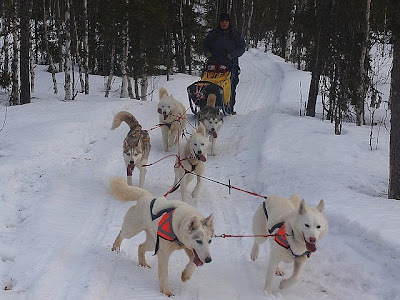 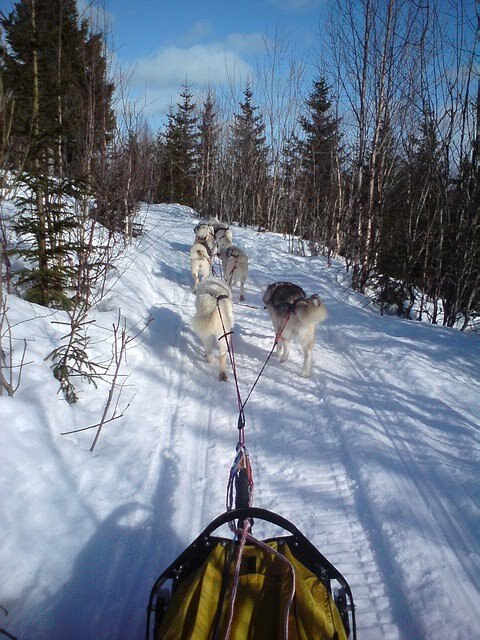 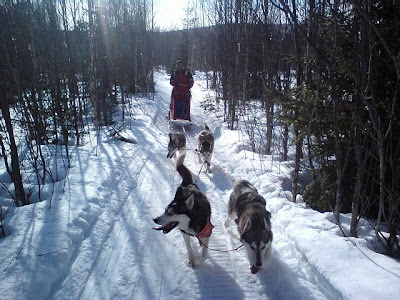 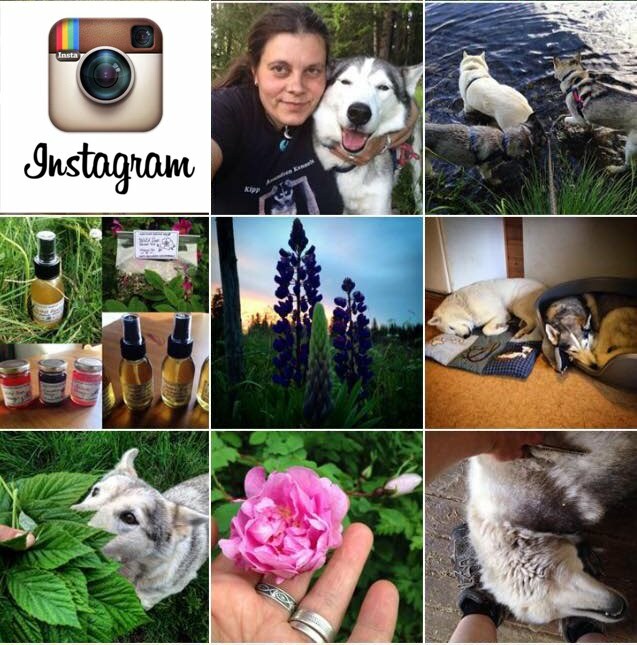 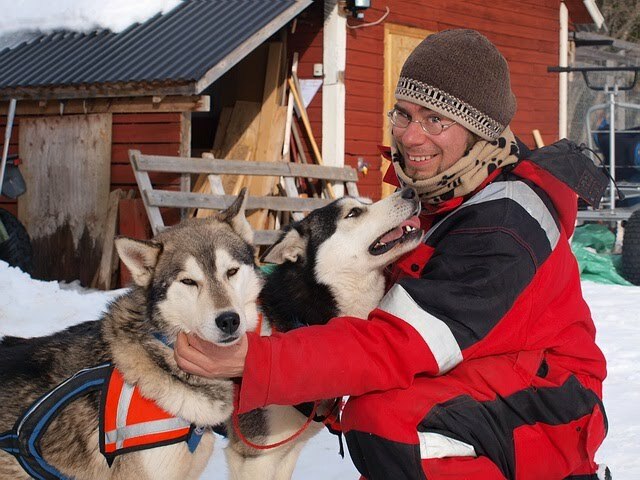 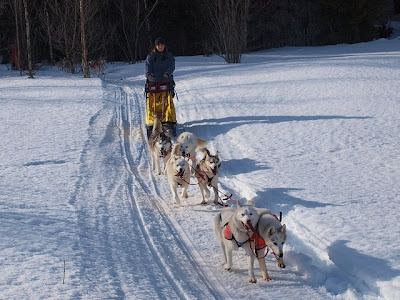 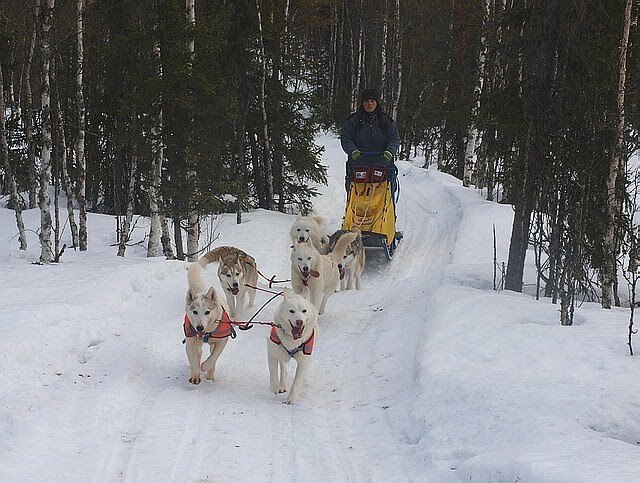 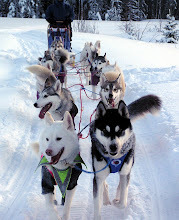 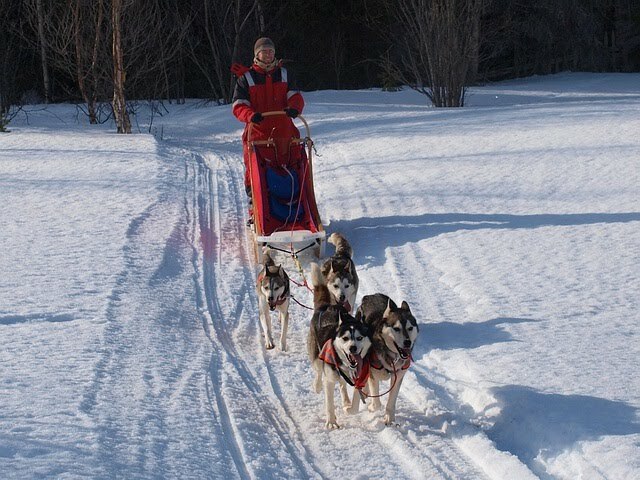 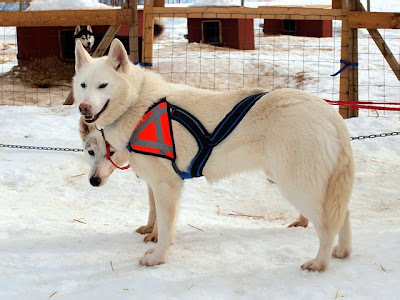 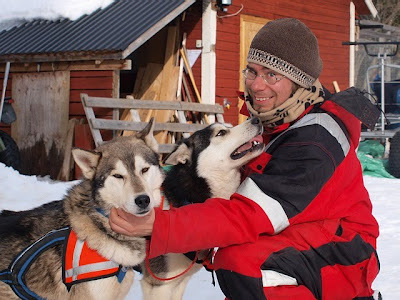 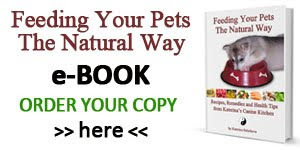 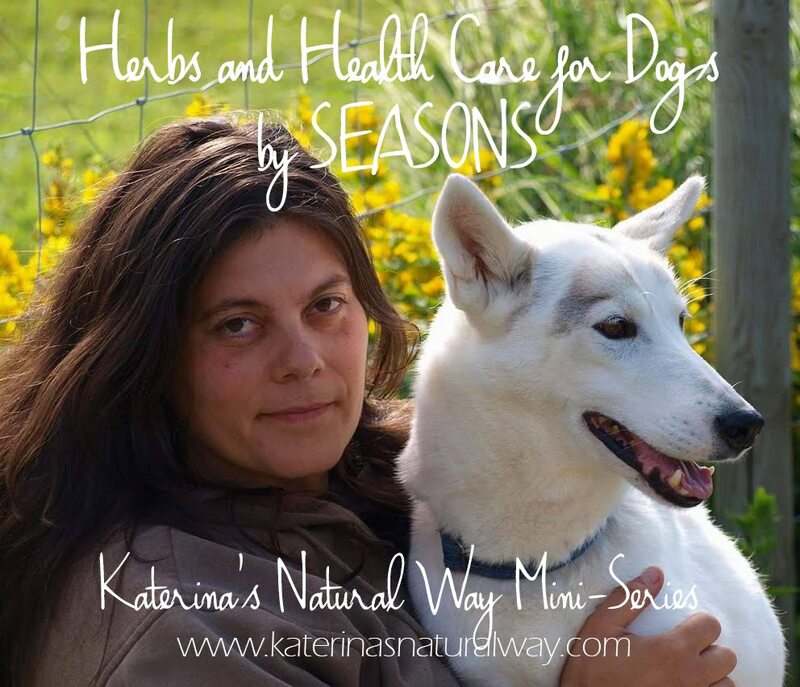 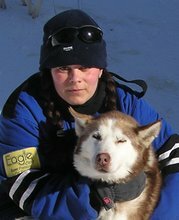 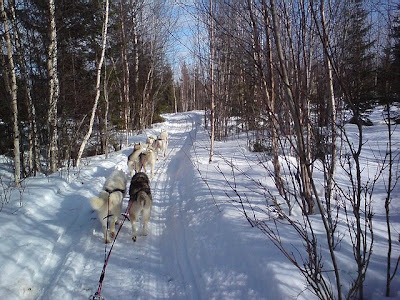 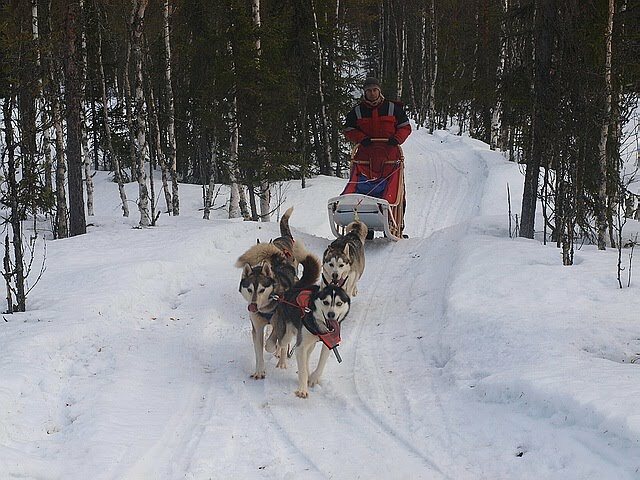 Katerina´s team: Ziggi and Ginger, Snorka and Maggie and Inuk with Iceman in wheel. Nardo´s team: Granite and Huggy Bear, his sister Rizey and her son Joey. 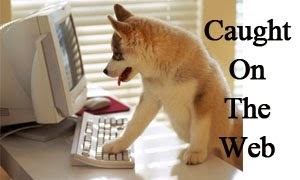 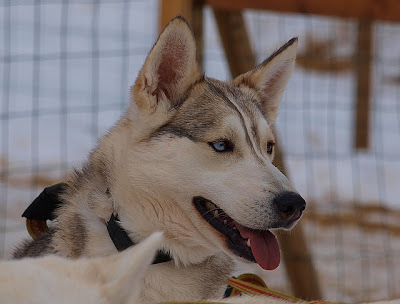 Weather was marvelous, the huskies worked beautifully - another great puppy run!